Chinese Yang Jing is a world renowned pipa player. She is a brilliant traditional performer who spent 12 years in China's National Orchestra of Traditional Music. She has performed as a guest soloist with numerous western orchestras as well as presenting solo concerts that range from ancient to modern compositions. Having conquered the world of traditional music, her heart leads her to explore improvised music. 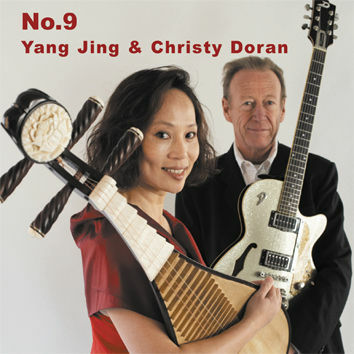 Christy Doran is a master guitarist who has impeccable credentials in improvised music. Together they create seven pieces of incomparable beauty producing the blend of extraordinary sounds of pipa and guitar that have never been heard before.